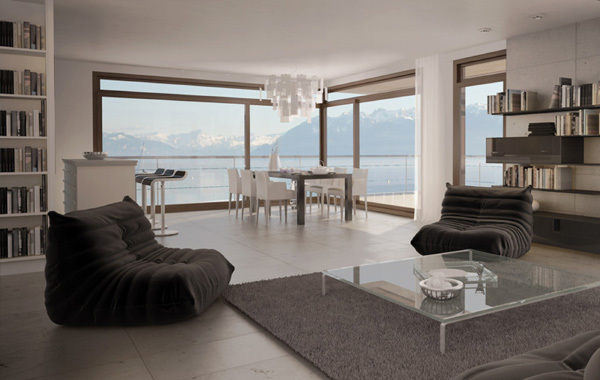 In Lausanne newest and most expensive apartments, buyers can be sure that every room of each residence includes the very best materials and latest cutting-edge technology. 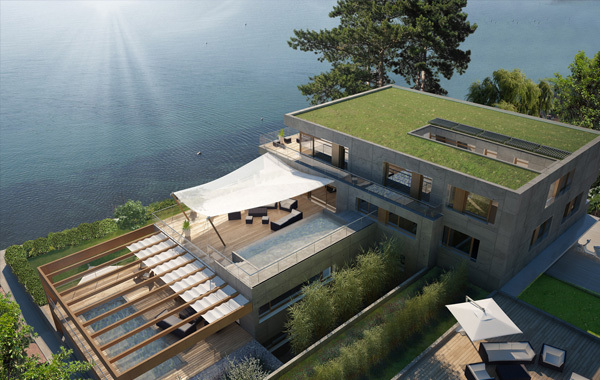 That’s why Rainford Property Developers and the award-winning Swiss architecture firm Cittolin Polli have announced a partnership with HomeTech Europe in join venture with C+O Architectes en Domotique to equip every one of these magnificent homes at Les Voiles du Léman with an easy to use total home control system. 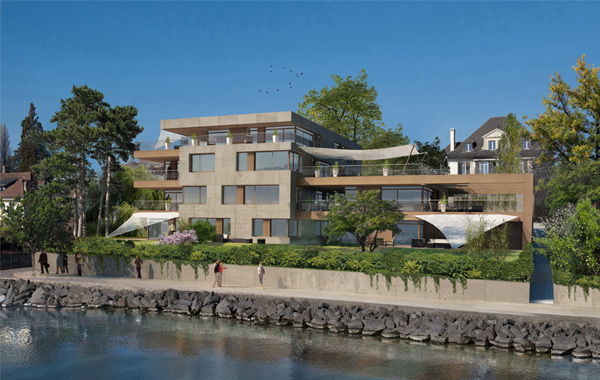 Now breaking ground on the shore of beautiful Lake Geneva, Les Voiles du Léman apartments will each be outfitted with an Elan system to control the Lutron lighting and motorized windows shades, heating, air conditioning, security and intercom system. 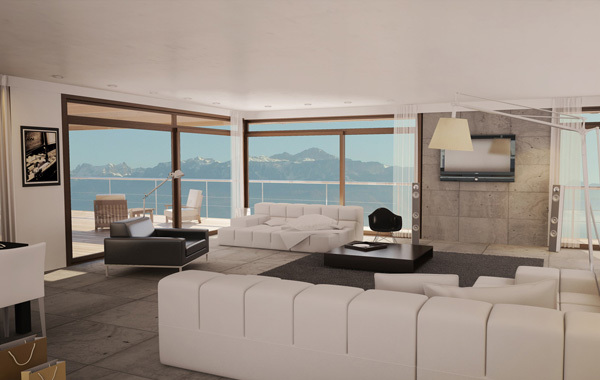 What’s more, the owners can expand their system to integrate multi-room audio, multi-room HD video, surveillance cameras and pool/spa controls. 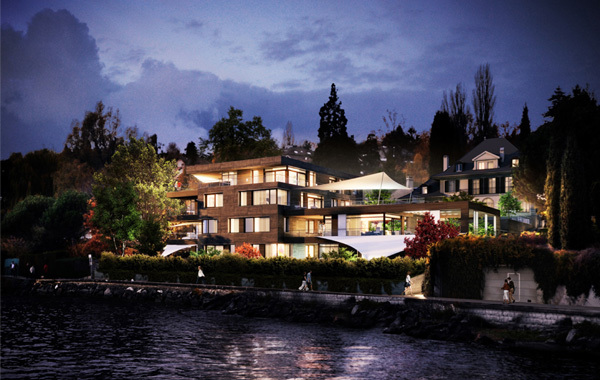 Each of the six apartments, which feature 1,350-4,000 square feet of living space, have their own balcony or sun deck, spa, finished basement and offer breathtaking views of Lake Geneva on one side and the Swiss Alps on the other. 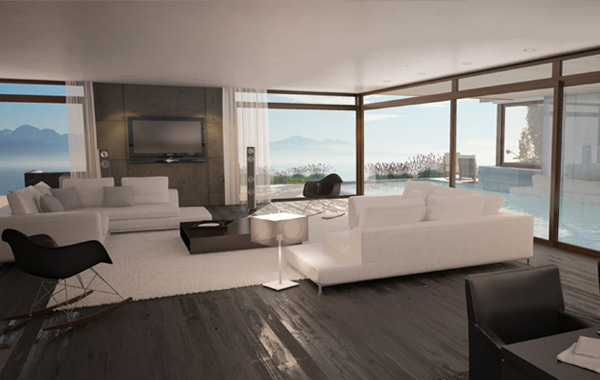 Two of the units even have private swimming pools and 2,000-3,000 square feet of private gardens.